Providing you the best range of packing machine, u type mixer and packing machine & food processing machine repairing service with effective & timely delivery. Driven by technically advanced facilities at our ultra-modern manufacturing unit, we are presenting an extensive machine of Packing Machine Services. Our provided packing machine is manufactured by our adroit professionals by making use of leading-edge technology and quality assured components in adherence with set universal norms. In order to cater maximum clients' gratifications, this packing machine is made accessible in diverse technical specifications. Owing to our highly-advanced infrastructural base and immense knowledge, we are engaged in offering a precision-engineered array of U Type Mixer. Our offered mixer is manufactured utilizing sophisticated technology and latest equipment at our state-of-art production unit. 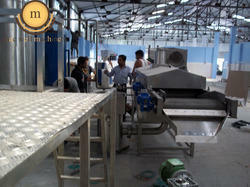 In post manufacturing process, the entire range is rigorously checked against various quality parameters. 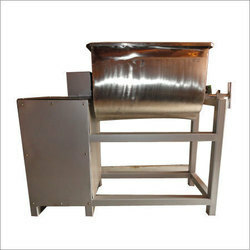 In addition to this, our offered mixer is used in various food processing industries. Owing to the presence of expert engineers, we have been able to offer Packing & Food Processing Machine Repairing Service. This service is offered by our diligent technocrats who come up with innovative tools and techniques. Since inception, we have been providing highly reliable and cost-effective support and repair for different types of machines and equipments. Because of the presence of expert engineers, we are able to render these services with maximal efficiency.